2000-2002 Assistant of the Department “Technology of construction production and architecture.” Karaganda State Technical University. 2002 to n. vr. 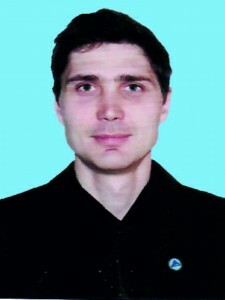 Senior Lecturer of the Department of Building Materials and Technology »Karaganda State Technical University. He conducts classes in the disciplines “Hydraulics, Hydrology, Hydrometry”, Engineering Systems “,” Heat Engineering, Heat and Gas Supply and Ventilation “,” Architectural Physics “. Author of 2 scientific articles, 5 educational guidelines. Responsible for the employment of graduates. Responsible for the sports work of the Institute of Architecture and Construction (IAS). The captain of the team PPS IAS. The PAS IAS team is a five-time winner of KSTU in the “Vivacity and Health” sports and athletics competitions.